Wisconsin ranks 3rd in the country when it comes to the number of ski resorts. When you are there, skiing is just an hour drive (or less) from anywhere. Cascade Mountain is located just 15 minutes from the Wisconsin Dells area. They top the list because they were awarded #1 in beginner friendly and #1 in family friendly "Best in Snow" awards by Liftopia. While they don't offer their own lodging, they have set up packages with local resorts to offer stay & ski packages. Just ask for the "Cascade Mountain Package". They separate their 18 green trails by easiest (4) and easier (14). This gives beginner skiers a gradual way to explore. There is 1 magic carpet area for beginners to test their skis before taking to the chair lifts. Cascade Mountain guarantees you will learn more in 1 lesson than you will all day on your own. Check out their pricing and book online here. Rent your equipment for the day or just for night skiing. Regardless of what you choose, you will be fitted with equipment designed to give you the best control over turns and stops. Great for beginners! Kids 12 & under ski free with a paying adult! Check out the latest pricing here. Enjoy the ride to the bottom of a 900 foot snow tube chute. The lift will return you to the top for endless fun. Cascade Mountain is all about the skiing. What they do offer is 2 restaurants to grab food, an outdoor eating area on busy weekends, a bar area to grab a drink, a coffee shop, and a snack bar. Otherwise you need to head into town or book a resort that fills in the gap with additional entertainment. The recently expanded section has eliminated the long lines during peak times. The hills and lifts are very manageable for beginners. You simply cannot beat the free kid's skiing. Arguably one of the best places to ski in Wisconsin. Christmas Mountain is known as Wisconsin Dells premiere golf and ski resort. 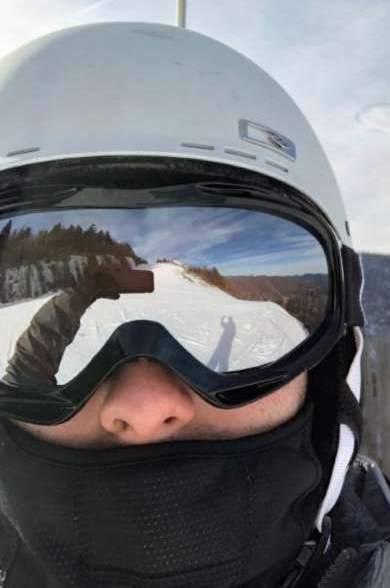 It's a small mountain that is well equipped for beginners to learn to ski. Lodging is offered in the form of vacation rental condos in a timeshare association. Or stay off the mountain at any number of nearby hotels. There are 4 easy green runs. In addition, they have a KidZone Learning Area perfect for beginners. While there are no magic carpet lifts, they do offer a handle and rope tow lift to assist with your climb back to the top of the hill. Learn all the ins and outs of skiing before you hit the slopes. It is recommended you book in advance as space fills up fast. For the latest details and pricing check their website. They offer a wide variety of rental options. Discounts are available if you plan to rent for at least 3 consecutive days. Check their site for details. Experience the 900 foot tubing hills during the day or night. Hang onto the tow system for a ride back to the top. During the winter months, skiing is the focus at Christmas Mountain. However, locally there are numerous indoor water parks and entertainment options. On site there are 4 dining options: Mulligans Bar & Grill, Jolly's (a family friendly bar & grill), the Mountain Cafe & Market, or have Perky's Pizza delivered to your room. It’s a nice, small resort off the beaten path where you can enjoy the lodge and atmosphere. The runs are short and fun. Perfect for beginners or families with young kids. There is so much to do in the area, too! Grand Geneva Resort & Spa is just a short drive from Milwaukee or Chicago. They work hard to create the ultimate ski experience by using their snow making capabilities to enhance conditions. This full-service property has everything you need for a ski getaway. There are 8 easy, green trails making 40% of their runs designed for beginners. Grand Geneva has 2 magic carpet lifts for learning. They also recently opened the Burton Riglet Park, built with young children in mind. Everything a beginner needs. Schedule a 1-hour lesson to get the basic skills and confidence you need to ski. Private, semi-private and group lessons are available with certified instructors. Groups are split by age (3-6 snow cubs, 6-14 mountain mites, and 7+ for adult groups). Get current rates and book online here. Grand Geneva has all of your rental needs covered. That includes downhill skis, cross country skis, snow shoes, ice skates, and sleds. There is endless fun to be had in the snow. Get their latest pricing here. There is not a snow tube park. However, there is a designated sled riding area. It also includes an ice skating rink. WELL Spa + Salon - Book a massage, manicure, pedicure, or facial. Fitness Center - Play basketball, indoor pool area, and rock climbing. Take a Class - Yoga, Pilates, Cycling, or Aqua Aerobics. A great resort for a family getaway. The staff is friendly and helpful and the property is well maintained. There are about a half dozen varied activities offered each day, some for free and some with a nominal charge. The perfect place to learn to ski. Wilmot Mountain considers itself the Midwest’s premier Winter destination for snowsport activities. Their 120 skiable acres is located just a short drive from Milwaukee or Chicago. They have recently invested in transforming and upgrading their base lodge to accommodate more guests. The new Kids Ski & Snowboard School and enhanced beginner area shows their dedication to those learning the sport. There are 7 green trails offering plenty of terrain for beginners to learn and explore. The learning terrain has recently been re-graded to be more accessible for teaching beginners. This includes an addition of new conveyor lifts. The resort now have 5 magic carpet lifts. Lessons are a great way to build your skill and learn the sport. Instructors area available to meet your needs and help you prepare for the slopes. Reservations are suggested (48 hours in advance). To view rates and make reservations check their website. The rental shop has everything you need, including easy-entry boots and skis with step-in bindings. Everything a beginner needs to learn. Their team is there to help fit you. Check out their rates and packages here. Wilmot's snow tube park offers 22 lanes just over 1,000 feet long! There are 2 conveyor lifts to transport you back to the top of the hill for more fun. Wilmot Mountain only offers skiing and snowtubing. During the day you can grab a bite to eat at Walt's Tavern or the Ski Hill Grill. The recent expansion projects have been a great enhancement to the property. Ski runs are short but a lot of fun. It is perfect for adults and kids to learn. Alpine Valley Resort is located a short drive from Milwaukee and Chicago. It has recently invested in their beginner skiers. Not only did they separate out their learning area, adding smart terrain to improve their ability to learn, but they have created more space for beginners to spread out. You can feel confident choosing this resort to learn. There are 7 easy green trails making 35% of their slopes designed for beginners. A newly expanded, terrain-based learning area has been opened for beginners including 4 magic carpet lifts. Reservations (at least 24 hours in advance) are necessary to secure space for a lesson. Some of their options are only offered on holidays/weekends others are midweek. Kids Group Lessons by age for a 2-hour lesson - Kidner Kids (5-7), Adventure Kids (8-12), Mountain Teen (13-18). Semi-Private Lessons (ages 9+) for a 1-hour session of 2 to 3 people. To check their latest rates and availability see their website. All of their equipment is rented in a package (ski boots, skis, helmet). There are no individual rentals. There is no snow tube park at Alpine Valley Resort. While Alpine Valley Resort does cater most to skiing, there are a few other amenities for those staying on site. 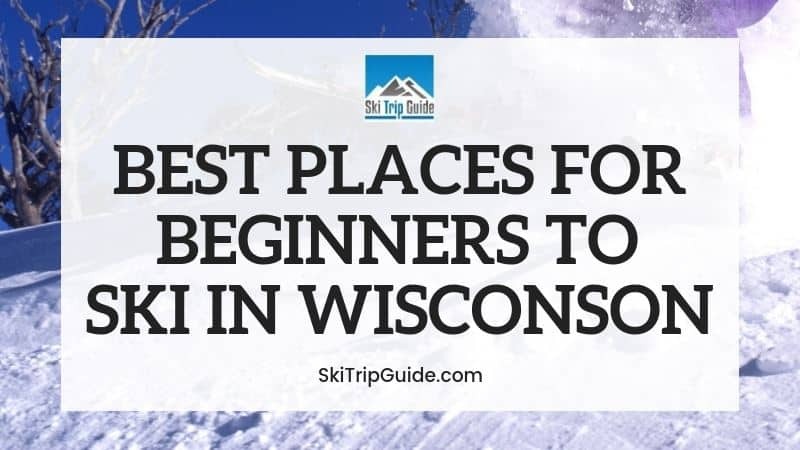 It's a great Midwestern ski area with a lot to offer. It's cozy, homey, and unpretentious. A great place for first-time skiers to test the sport.